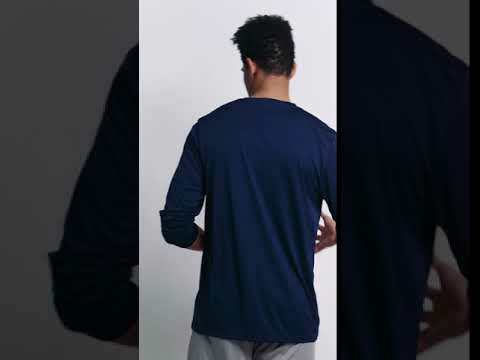 Stay cool and dry in this long sleeve performance crewneck T-shirt while in the gym, on the court, or on the field with moisture-wicking technology, odor protection, and UPF 30+ protection. The Russell Athletic® Men's Dri-Power® Core Performance Long Sleeve Tee features moisture-wicking technology keeping you dry as you sweat, odor protection to keep you fresh, UPF 30+ protection protecting you from harmful UV rays, and contrast back neck tape. This short sleeve shirt has a relaxed fit for complete comfort.